We were incredibly honored to be part of the Green Lungi Movement, where a bunch of awesome volunteers worked alongside members of our very own Indian Army, involved in a clean up drive at Ulsoor Lake. 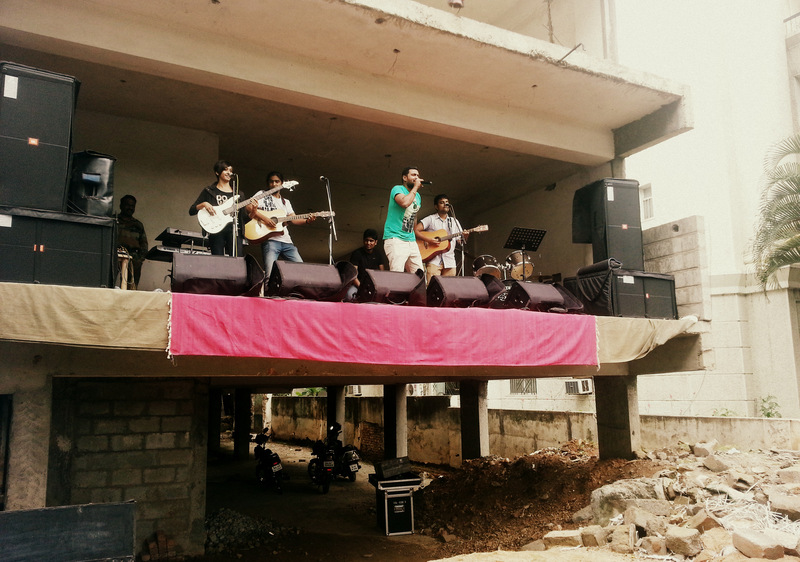 Most of us in the band wondered what a drive to Ulsoor Lake at 7 AM (on a Sunday, even!) would be like. Some of us (Tejas in particular) would never have even known what this time of a day looked like. But we did get there on time, and boy was it worth it! While we had a blast playing an acoustic set during the clean up drive, it was great fun to see startled early morning joggers (with their equally confused dogs), and passersby wonder in amazement at the scene that unfolded in front of them. A band crooning away in Hindi and Kannada, while youngsters and uniformed officers got down on their knees to clean up the place. You would have had to be made of stone to not feel the impact of this vision! 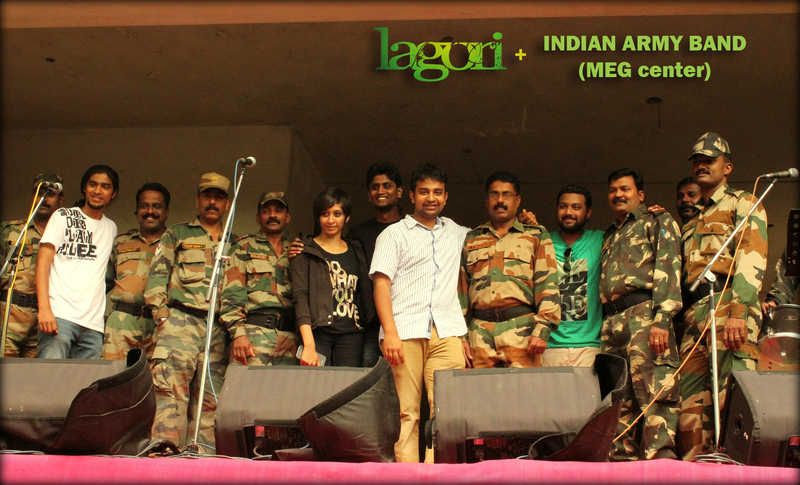 We had a jolly good time alongside the Indian Army Band, who performed popular thappan-kuch and Kolaveri Di like numbers. Geeth couldn’t speak for hours after their performance, given his loud whistles, while the rest of us shook our behin – err — legs. And boy, did we get our cheap thrills watching the traffic cops, who were speechless and helpless, despite the loud music played by our uniformed counterparts! Our performance aside, the stars of the event were, without doubt, the members of the Green Lungi Movement. You guys are an inspiration! We are so in awe of what you guys do, we just might wear Green Lungis at our next gig. We just might.